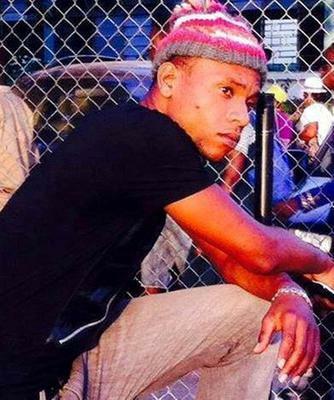 Dancehall Reggae artiste Chinsu, was born David Bailey on March 24, 1991 in Spanish Town, Jamaica. He is the thorn amongst the Roses, being the only boy with four sisters. Since he had no brothers to play with; he preoccupied himself with listening to and writing dancehall songs. He continued writing songs in primary school but took it up a notch in High school. He attended Jonathan Grant High School in Spanish and it was during this time he begun entering and winning several talent shows. These winnings took his confidence to whole different level and as he stepped his game up, he entered the online dancehall competition call Lyrical Death Match. Chinsu's garnered additional notoriety from his subsequent performances in the Lyrical Death Match competition. Da’Vgion Music is a newly form Record Label from Maryland, and they were scouting for their first Artiste and his childhood friend Kalique, brought Da’Vgion and him together, where he was signed to the Label a few weeks later. On July 25th, 2014, an EP with four singles will be released, with songs titled “Wall Paper”, “When Yu Wine”, “Run Run” and “Me Have The Leathering”. On September 25th, 2014, he made the top ten of week 35 on Radio Airplay.